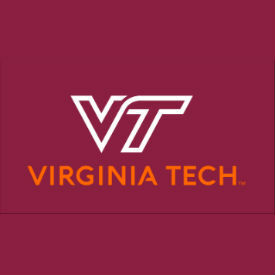 Virginia Tech has announced the search committee for its executive vice president and provost. In November, Virginia Tech President Tim Sands named Cyril Clarke, former dean of the Virginia-Maryland College of Veterinary Medicine, interim executive vice president and provost pending an international search. Lorenzo (Zo) Amani, doctoral student in the public administration and public affairs in the College of Architecture and Urban Studies and graduate student representative to the Virginia Tech Board of Visitors. Rajesh Bagchi, Richard E. Sorensen Junior Faculty Fellow and professor of marketing, Pamplin College of Business. Mark Barrow, professor and chair, Department of History. Richard Blythe, dean, College of Architecture and Urban Studies. Dennis Dean, University Distinguished Professor and director, Fralin Life Sciences Institute. Karen DePauw, vice president and dean for graduate education. Mark Embree, professor of mathematics, College of Science. John Ferris, associate professor of mechanical engineering, College of Engineering, Faculty Senate president, and faculty representative to the Virginia Tech Board of Visitors. Jack Finney, vice provost for faculty affairs. Mike Friedlander, vice president for health sciences and technology and executive director of the Virginia Tech Carilion Research Institute. Alan Grant, dean, College of Agriculture and Life Sciences. William Hopkins, professor of fish and wildlife conservation, College of Natural Resources and Environment, and director of the Global Change Center. Rachel Iwicki, senior majoring in mechanical engineering and Russian languages and literature and undergraduate student representative to the Virginia Tech Board of Visitors. Lindsey Marr, Charles P. Lunsford Professor of Civil and Environmental Engineering, College of Engineering. Andrew McCoy, Preston and Catherine White Fellow and head of the Department of Building Construction. Gail McMillan, director of scholarly communication and professor, University Libraries. W. Edward Monroe, professor of small animal clinical sciences, Virginia-Maryland College of Veterinary Medicine. Menah Pratt-Clarke, vice president for strategic affairs and vice provost for inclusion and diversity. Melanie K. Prusakowski, assistant dean for admissions, Virginia Tech Carilion School of Medicine, and associate professor of emergency medicine and pediatrics, Carilion Clinic Department of Emergency Medicine. Karen Roberto, University Distinguished Professor and director of the Institute for Society, Culture, and Environment. Julia Ross, Paul and Dorothea Torgersen Dean of Engineering, College of Engineering. Roberta S. (Robin) Russell, professor and head of the Department of Business Information Technology, Pamplin College of Business. Karen Ely Sanders, associate vice provost for college access and chief diversity officer, Virginia Tech Carilion School of Medicine. Robert Sebek, collections technology specialist, University Libraries, president of the Staff Senate and staff representative to the Virginia Tech Board of Visitors. Frank Shushok, senior associate vice president for student affairs. Kenneth Wong, research assistant professor of physics, associate dean of the Graduate School for the National Capital Region, and director of the Northern Virginia Center. Chris Yianilos, director of government relations. Cheryl Peterson, executive director of the Office of the President, and Melissa Elliott, senior executive assistant in the Office of the President, will serve as search committee staff. The review of applications will begin immediately and will continue until an appointment is made. Individuals who wish to nominate a candidate should submit a letter of nomination, including contact information for the nominee. Application materials should include a letter addressing how the candidate’s experiences match the position requirements, a curriculum vitae or resumé, and names of five references. Submission of materials as PDF attachments is strongly encouraged. Confidential inquiries, nominations, and application materials should be directed to Russell Reynolds Associates, the firm retained by the university to assist in this search via email, vatechprovost@russellreynolds.com. Nominations may also be sent via campus mail to 210 Burruss Hall, 800 Drillfield Drive (0131). The position description, application process, and other information related to the search is available through the Office of the President. Updates on the search process will be posted to Virginia Tech Daily.